I was shocked to learn from an NPR story on my drive home recently that one in three kids in Massachusetts goes hungry every day. Massachusetts is not known for being an underprivileged state, so that really shook me. 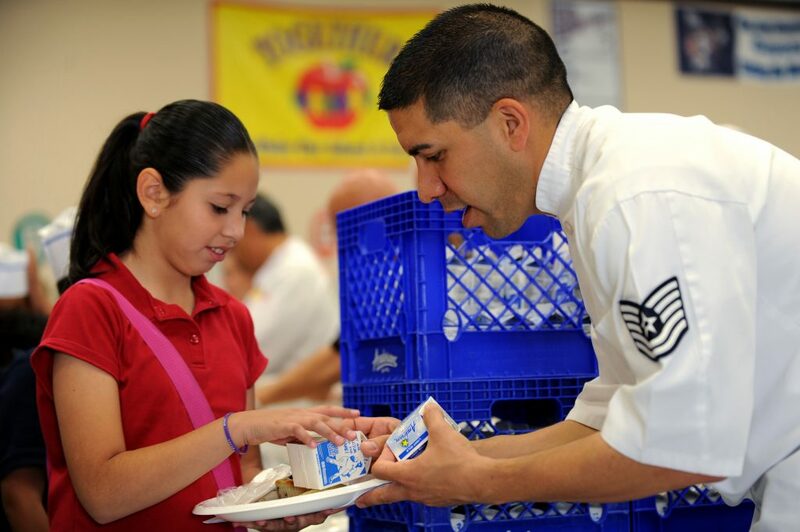 81 percent of all kids in public school in Houston, Texas are eligible for free or reduced-priced breakfasts and lunches. EIGHTY ONE PERCENT. According to the Food Research and Action Center (FRAC), Houston public schools provide 224,000 kids with the basic food they need every day. A quarter of a million kids every day, in Houston alone. The first day of school in Houston was supposed to be this past Monday. During the summer, and when schools are closed because of natural disasters like this week (and probably next, and probably the next week after that), those kids don’t get food. Maybe you, like me, have been both heartbroken and hopeful reading and watching the news from Hurricane Harvey. My heart swings from sadness at the photos of devastation and loss, to feeling uplifted by hearing about everyday people doing everything they can to help. And besides the everyday heroes, there’s the army of nonprofit staffers – right there in the thick of it, picking up where those closed schools leave off. Providing food, shelter, and blankets now, and helping scoop up the mud, pick up and haul away the debris, and rebuild later. I’m so proud of our sector. Proud to be supporting nonprofits who step up and are counted on. I’m proud to donate to them, too, because I can’t be there but I can still help them. And they can really use the financial help right now, desperately. Please join me if you can. Today. Even a little bit will make a big difference to someone who needs your help. Following is a selection of nonprofits that have been providing vital services during Hurricane Harvey. If you know of others, feel free to add them in the comments. Thank you! Direct Relief provides emergency airlifts of medicines and supplies to healthcare providers. According to a press release Direct Relief has “made its entire current inventories of more than $100 million to support medical relief and recovery efforts in response to the still unfolding emergency in Texas…” Follow them on Twitter here. The Greater Houston Community Foundation has set up a Hurricane Harvey Fund with the blessing of the city’s mayor, Sylvester Turner. When the flood waters recede, the Houston Food Bank will be there to provide food and meals to people and pets. – Follow them on Twitter here. Serving the needs of LGBTQ adults and teens in the Houston area for almost 40 years, the Montrose Center‘s Hurricane Harvey Disaster Relief Fund will provide “counseling, case management, direct assistance with shelf stable food, furniture, housing and more” to everyone needing assistance, regardless of their sexual orientation. Follow them on Twitter here. Save The Children is focusing on distributing essential supplies to children and families in shelters. Beginning on Monday, they are also establishing child-friendly spaces to give displaced kids a safe place to play. Follow them on Twitter here. The SPCA of Texas takes in, feeds and shelters animals, and works to reunite them with their families. Follow them on Twitter here. Founded spontaneously by a group of US veterans to help the Haiti earthquake victims, Team Rubicon is now a nonprofit that deploys veterans to help in times of natural disaster. Follow them on Twitter here. Texas Diaper Bank: Diapers aren’t included in relief supplies. If you’re a parent, you know just how essential diapers are. Follow them on Twitter here.